Kodi Add-Ons and Cyberlockers Aren't Friends Anymore. Apparently, both players who play on the same team want to fight each other. Yes folks, sometimes it just doesn’t work out even between the best of friends. In our case, the friends are online cyberlocker services and unofficial Kodi Add-ons that allow people to watch all sorts of content online for free without any interruption or limit. There is little doubt about the fact that millions of users around the world use Kodi and its official along with unofficial add-ons to stream every conceivable form of entertainment. If there is an entertainment show present on the face of the earth, you are likely to find it on Kodi by using the unofficial add-ons that are developed by third-party software developers. 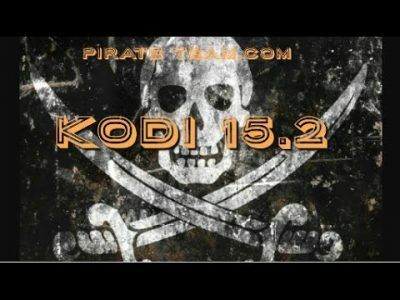 As mentioned before, the main source of content on Kodi is through unofficial add-ons that offer people to have access to pirated content such as movies and TV series. And to some extent, tools like Kodi are a blessing for thousands if not millions of online users, but online cyberlockers don’t see it that way. At least not anymore. As of now, cyberlockers services that operate online and provide the related videos that people stream from their Kodi devices and Kodi players, consider unofficial Kodi add-ons as one of the big threats to the survival of their business. Kodi has always been at the center of attention as far as media news outlets are concerned mainly because of its popularity as a media player and the fact that it allows users to stream pirated content on its platform without any charge or limitation. Readers should note here that officially, Kodi is as neutral a media platform as any that you are likely to find. But the problem between cyberlocker services and Kodi begin when millions of users who use Kodi player as their main source of streaming content online, use third-party add-ons, simply called Kodi add-ons, and basically transform the Kodi player into the greatest piracy machine of all time. Now, whenever any platform of any size and any nature enables third-party software, there is bound to be a lot of competition among software developers to reach out to the millions of users who use Kodi as their primary media player. Right now, the player who is leading the pack in this field is TVAddons. TVAddons is basically a repository that consists entirely of Kodi add-ons. They number in the hundreds if not thousands. 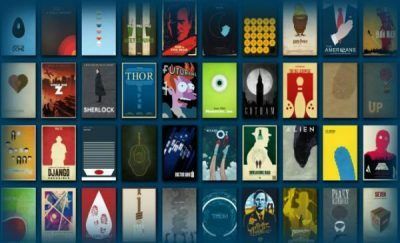 In fact, in the past 12 months alone, the number one Kodi add-on repository in the world has increased the number of unique visitors to its site by two hundred percent. Kodi and Kodi add-ons are two different things. Eleazar, who is just one of the people behind TVAddons, spoke with TorrentFreak in a recent interview given to TorrentFreak’s Steal This Show. There, Eleazar explained that not everything is well at TVAddons because there were several online services that would want to disrupt its operations and would rather see TVAddons fail than succeed even more. Of course, Eleazar was talking about online services such as cyberlockers. Now, readers should keep in mind that not all cyberlockers want to see TVAddons blown to smithereens within the next 24 hours. There are just too many to be comfortable with. Essentially, online cyberlocker services generate their revenue through the medium of advertising. Nothing new there, since every online service including Google does that to a multiple times greater extent that online cyberlocker services. The problem occurs when a lot of third-party developers come up with unofficial Kodi add-ons that remove these ads by default and hence rob these cyberlocker services of their revenue source. Why Can’t These CyberLocker Services Operate Without Ads? The simple reason is that, advertising revenue is the only sustainable business model for most of these online cyberlocker services and when Kodi add-ons strip their ads, Kodi add-ons become nothing more than resource hoggers as far as these online cyberlocker services are concerned. In other words, these online cyberlockers services don’t get any returns on their services which are provided to these Kodi add-ons. But since, there is no one way to stop all unofficial Kodi add-ons to not remove advertisements from their streaming content, many online cyberlocker companies have taken it upon themselves to strike back and outright ban Kodi add-ons that try to steal their valuable content by not allowing cyberlocker services to show ads along with the streaming content. Eleazar voiced a similar opinion in the interview with TorrentFreak and said that now online cyberlocker services changed the coding to break the Kodi Add-on, and that was specifically being done because Kodi add-ons were causing a spike in server load and that cost money and bandwidth. Cyberlocker companies want their share of the pie as well. TorrentFreak, in order to give a voice to both sides, also spoke with one of the largest operators of streaming cyberlockers services on the planet. This representative did not want TorrentFreak to publish his/her site’s name. But the representative did confirm that Kodi add-ons’ were indeed causing these online cyberlocker services trouble in terms of revenue generated and profits made. 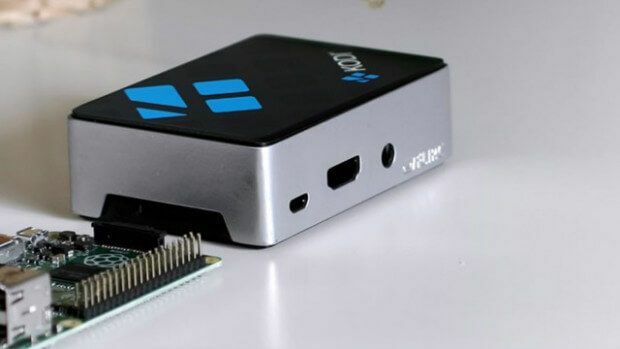 The representative said that Kodi plugins were harming online cyberlocker services due to their massive bandwidth usage, which was not compensated for in any way. Moreover, this online cyberlocker service representative also told TorrentFreak that several of his cyberlocker service’s competitors have already been put out of business by the Kodi add-ons that stream content for free without showing related advertisements to millions of users who use Kodi player to watch online content for free and without any limit. The representative also said that because of the increased number of users who accessed online content through the use of Kodi services, online cyberlockers services had to provide Kodi add-ons a lot of bandwidth and because many of the Kodi add-ons were not allowing ads to show up, the online cyberlocker service’s sites were not able to generate profits. At least not as much profit as before. The cyberlocker service representative also said that “I” (he/she) would say that some hosts, which are already gone, were heavily affected from draining bandwidth from third party applications such as Kodi add-ons. Some of the other online cyberlocker services that provided bandwidth to Kodi add-ons were also contacted by TorrentFreak. These cyberlocker services told TorrentFreak that they too were trying their utmost best to prevent Kodi add-ons from using their services. TorrentFreak was also told that this action of online cyberlocker services was somewhat successful in blocking Kodi add-ons from eating up bandwidth without paying back by showing ads. However, it was also revealed to TorrentFreak that third-party Kodi add-ons developers were already coming up with ways to bypass the mechanisms through which online cyberlocker services were trying to block their services. The cyberlocker operator also told TorrentFreak that to fight Kodi add-ons using their resources without returning the favor by showing their advertisements, cyberlocker services have decided to keep their streaming links obfuscated, changing them multiple times a week. Of course, the more interesting aspect of this whole situation is that these Kodi add-ons may be giving birth to their own demise by taking out services that are basically their own sources. The destruction of online cyberlocker services would also mean that Kodi add-ons will find it much harder to attract customers because customers won’t be able to find the valuable pirated content easily in the long run. Should We Say Goodbye To Kodi-addons? Nothing lasts forever. If KickassTorrents can go down and so can Kodi. According to one of the online cyberlocker service’s operator, there was one possible solution that could work. The operator told TorrentFreak that their company was actually able to come to terms with one of the Kodi add-on developers by striking an agreement. The agreement allowed third-party add-on developers to use cyberlocker services but with permission. Of course, in the online world where there is little oversight and virtually no authority, there is no way to ensure that both sides keep their end of the bargain. And let’s not forget to mention the fact that agreements between Kodi add-ons and online cyberlocker services are pretty rare if not non-existent. The operator noted that unfortunately, most of the Kodi plugin developers seemed not to be interested in finding a solution like this, so it was a continued cat and mouse game like cyberlocker services also had with adblockers. This brings us to the other problem of ad blockers eating up revenue of players from several different industries. It seems like piracy sites along with other pirated content streaming services like unofficial Kodi add-ons are likely to find themselves in more trouble since recent reports in the media have revealed that the biggest online search engine in the world, Google, received requests to remove about a billion pirate search results in the past year alone. Wherever there are online services that offer people free content, like Kodi and all its add-ons, there are anti-piracy groups who call themselves by all sorts of names, one of which is copyright holders. Regardless, copyright holders have actually requested Google to get rid of more than 1 billion (that’s 1,000,000,000 for clarity’s sake) private results which these copyright holders think are basically links that point users to download and use pirated content. The more interesting part is that, this 1 billion figure is only from the past 12 months. Is this some kind of a new record? No one knows. But the past year has indeed seen an uptick in the activities of copyright holders and anti-piracy groups who have taken some serious measures to stop people and organizations from taking advantage of copyright-protected content such as movies and TV series along with documentaries and cartoons, without prior permission from the creators of these content types. In this year alone, people have seen KickassTorrents get taken down, TorrentHound being shut down and many other online piracy sites being taken offline as a result of a combined effort from big studios in Hollywood along with other anti-piracy groups. Google has its own pirate content take-down request problem. In all this chaos, Google too has been pressed hard to show more aggressions against piracy sites and their facilitators. As mentioned earlier, Google has been flooded with DMCA takedown requests. Copyright holders have left no stone unturned and have continued to target agencies who put up pirated links in the Google search engine. Everyone knows how to find their favorite movie or TV show right? If someone doesn’t know, then a simple Google search is ought to do the trick. The above sentence is exactly the thing that copyright holders are trying to fight against by requesting Google to remove pirated content links from its search engine results page. Of course, takedown requests are nothing new. What is new is the number of takedown requests Google has recent in the last year alone. In fact, some media reports have managed to notice a trend which clearly indicated that the number of DMCA takedown requests received by services such as Google have increased to record levels on a yearly basis. In other words, every year the number of DMCA takedown requests have increased to a record level. TorrentFreak was at it again and came out with a report recently that was compiled from the data that was found in Google’s Transparency Report. The piracy news site TorrentFreak found out that in the past year alone Google was requested by copyright holders to remove over a billion links that lead users to pages that contained copyrighted content. As mentioned before, the number of these requests reached 1 billion this time around. Moreover, it was also revealed that about 90 percent of these links were eventually removed while the rest of the 10 percent requests were rejected for reasons such as invalid requests, not pirated content and duplicates or previous removal requests. Some anti-piracy groups feel that the process of removal of pirated content is not efficient enough. However, Google sent its reply to the Copyright Office earlier in the year and said that the notice and takedown process had been an effective and efficient way to address online infringement and that the increasing volume of URLs removed from Search each year demonstrated that rightsholders were finding the notice and takedown process worthwhile, efficient, and scalable to their needs. Regardless, copyright holders have informed various Government agencies to reform the process of submitting takedown requests. 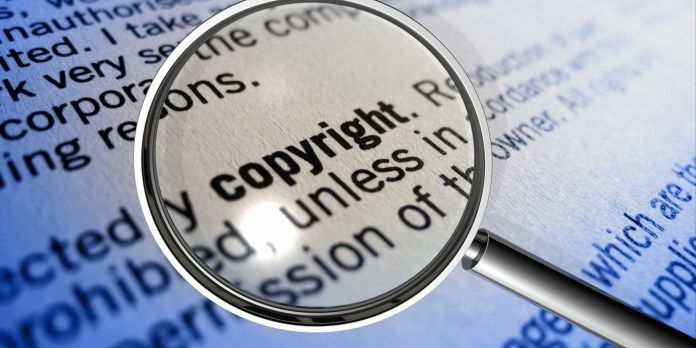 Among many other things, copyright holders have requested to have access to advanced technologies along with processes which could ensure that any piece of pirated content was removed from the web once and for all. Of course, nothing seems to have changed for now and copyright holders will have to keep on submitting more takedown requests. The situation for pirated content and streaming sites remains uncertain with anti-piracy groups really picking up the pace in the past couple of years. We have talked a lot about Kodi here. What we haven’t talked about is how to get the most out of it.